Expanded metal screen keeps debris and small animals out of ductwork. Riveted, heat-glued seams create a strong, moisture resistant seal. Flanged base provides for good vent-to-wall contact and an easy caulking surface. 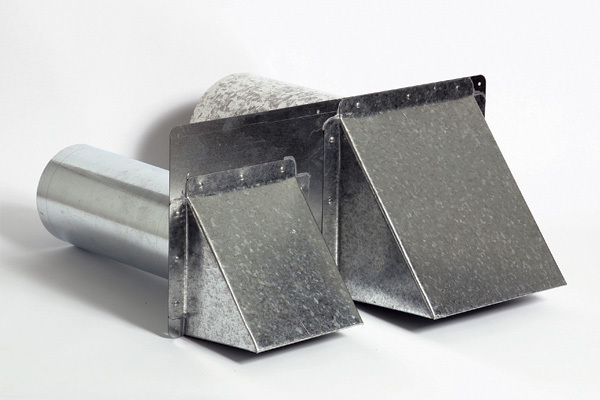 Long galvanized neck allows for easy union through walls to interior ducts.